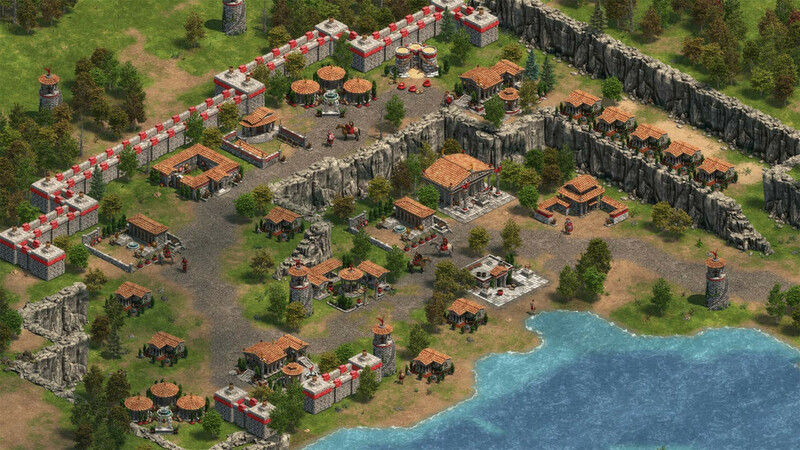 Baz checks out a remaster from the golden age of the RTS: Microsoft's classic Age of Empires. It’s 1999, and I am being dragged around Pak’n Save by my mum – an experience universally dreaded by eight-year-olds. But today is different. Because upon entering the cereal aisle, I discover the mother of all deals. You see, for a brief window of time in 1999, with every box of Nutri-Grain, you also received a copy of Age of Empires. Not some knock-off crap, or a cardboard cut-out – but a real, true-blue video game with your cereal. I had played Age of Empires at friends’ houses before, but this box of Nutri-Grain marked the start of a deep and enduring obsession with RTS games and the Age of Empires franchise. 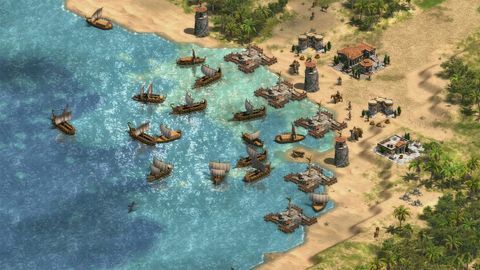 Now, Microsoft has brought this first entry of the Age of Empires series back with a definitive edition. Loading this remake up, it all came flooding back. Though I haven’t played this entry in well over a decade, it was second nature to jump straight into a quickplay match and line up all my favourite map attributes – large area, rivers, high resources, and the ultimate victory parameter of the utter and complete annihilation of every other computer player. 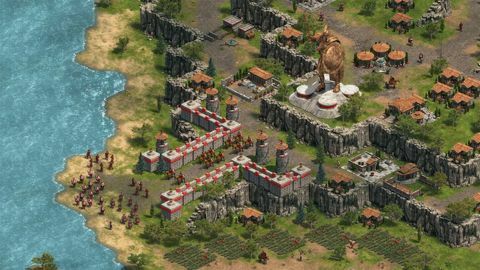 Selecting my team, I realised how deep this game is in its historical representation, with tribes such as the Carthaginians and Macedonians. I had no idea who these people were – or even where they were from – when I was kid. Now, as an adult, I have discovered how much the knowledge of these people and their history enhances your experience of playing as and against them. For instance, my first inclination was to play as the Carthaginians in a one on one showdown with the Romans – it was time to rewrite history! History nerd note: The Romans literally wiped the Carthaginians, a civilisation settled in Northern Africa, from the face of the planet around 100 BC. When I first popped into a match, I was a little taken aback. I thought, ‘Wait a minute! They haven’t redone these graphics at all.’ As far as I could remember, the game looked exactly how it had in the late '90s. But memory makes fools of us all. I popped across to the Age of Empires website where there is a nifty feature where you can scrub between the graphics of the 1997 original and the remake. This made me realise that, of course, the graphics of the remake are exponentially better than the original. However, thinking the graphics are the same as the original is in some ways the mark of a great remake – it means the team at Microsoft Studios has really captured the essence of the game visually and brought it forward into 2018. Despite my early reservations, the more I played this remake, the more I came to appreciate the effort that had been put into the graphics and animations – particularly of little actions, like how villagers stack wood or fill their baskets with berries. A few matches in, however, I started to realise that little has been done to beef out this experience beyond a visual overhaul. The game maintains its campaign chapters, its quick play and an online multiplayer functionality. Though these modes offer a variety of ways to play, the variety within that gameplay is decidedly lacking by 2018 standards. 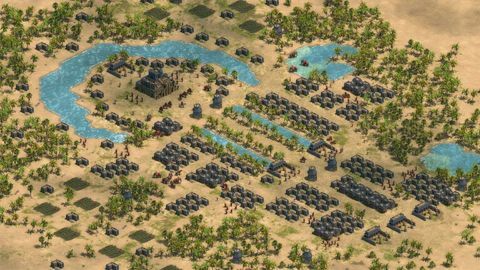 The RTS genre has grown significantly more complex in the last two decades, with franchises such as Civilisation progressively pushing the bar in terms of the breadth and depth of the RTS genre – particularly in the area of progression. The first Age of Empires just can’t stack up beside this level of mechanical complexity. What it offers is the baseline loop of growing through the ages, following a linear tech-tree, and building an army in preparation for your eventual onslaught. To be fair, it does this loop very well, and remains very fun in short bursts. But that fun tapers out fairly quickly after following this exact loop several times in a row. Even so, ultimately this remaster is not trying to reinvent the genre, but offer a healthy nostalgia kick to people like me who had formative experiences with the franchise. And in that respect, it does a great job.